The National Green Tribunal has fined the Agra Municipal Corporation Rs. 1 lakh ($1,500) for dumping garbage into the Yamuna river. Hearing a petition filed by environmentalist DK Joshi, the NGT on August 27 also ordered the demolition of a drain and a pipeline releasing waste water and sewage into the river. 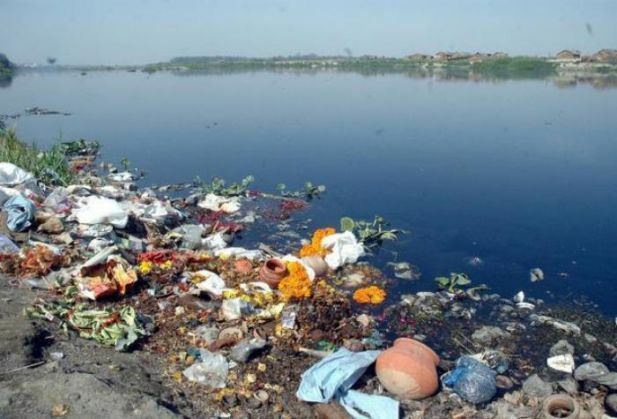 The petitioner had said that construction activity on a large scale was taking place on the Yamuna flood plains and sewage and garbage was being dumped into the river. The NGT also fixed the deadline for demarcating afresh the boundaries of the Yamuna flood plains. A committee headed by the divisional commissioner will identify the illegal structures on the flood plains and recommend action.